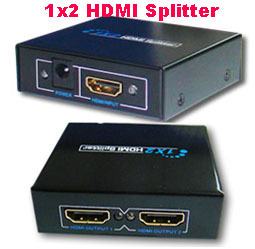 2-Port HDMI splitter: 1 HDMI in 2 HDMI out. Display simultaneously to 2 HDMI display or HDTV. HDMI 1.3 and HDCP compatible.